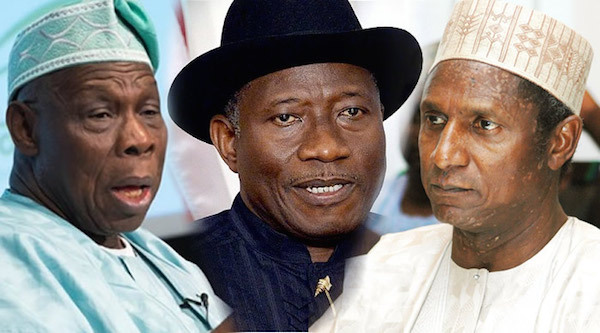 A new report by the Socio-Economic Rights and Accountability Project, SERAP, has revealed how over N11 trillion meant to provide regular electricity supply was allegedly squandered under the governments of former presidents Olusegun Obasanjo, Umaru Musa Yar’Adua and Goodluck Jonathan. The 65 pages report launched on Wednesday at the Westown Hotels, Lagos is titled: From Darkness to Darkness: How Nigerians are Paying the Price for Corruption in the Electricity Sector. The report launch was also attended by Babatunde Irukera, the Director General/Chief Executive of the Consumer Protection Council, CPC; and, Ibrahim Magu Chairman Economic and Financial Crimes Commission, EFCC; who was represented by Osita Nwajah, Director Public Affairs EFCC. Both promised to work to ensure the full implementation of the recommendations contained in the report. Others at the events were Babatunde Ogala; Dayo Olaide, Deputy Director Macarthur Foundation; Eva Kouka, Program Officer, Ford Foundation; Motunrayo Alaka, Coordinator Wole Soyinka Centre for Investigative Journalism; representatives of the Independent Corrupt Practices and other Related Offences Commission, ICPC; the National Human Rights Commission, and the media.